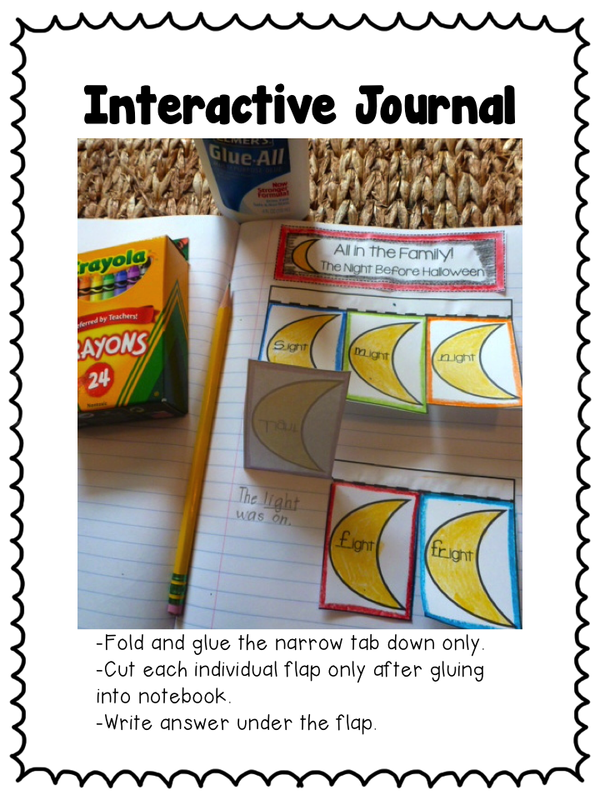 Have you jumped on the interactive notebook or foldable bandwagon yet? I love them! 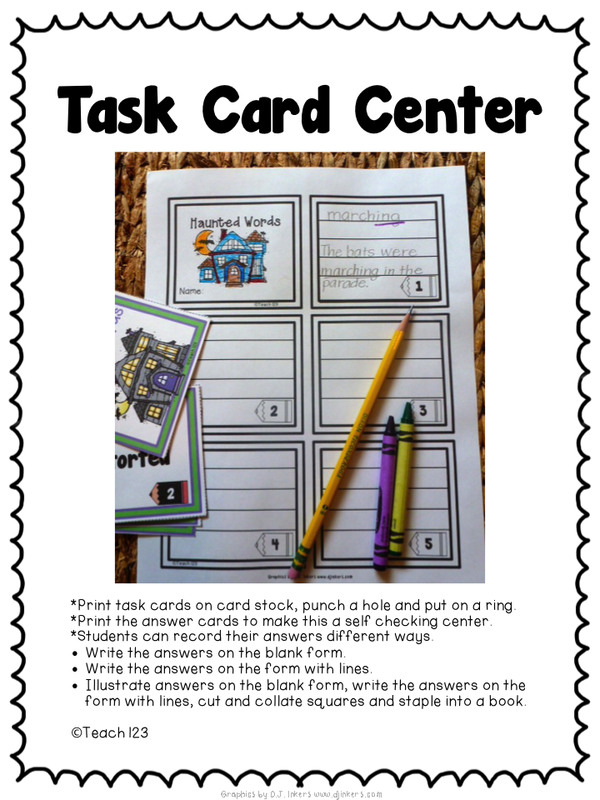 They are a great way to add a hands-on approach to your lessons. 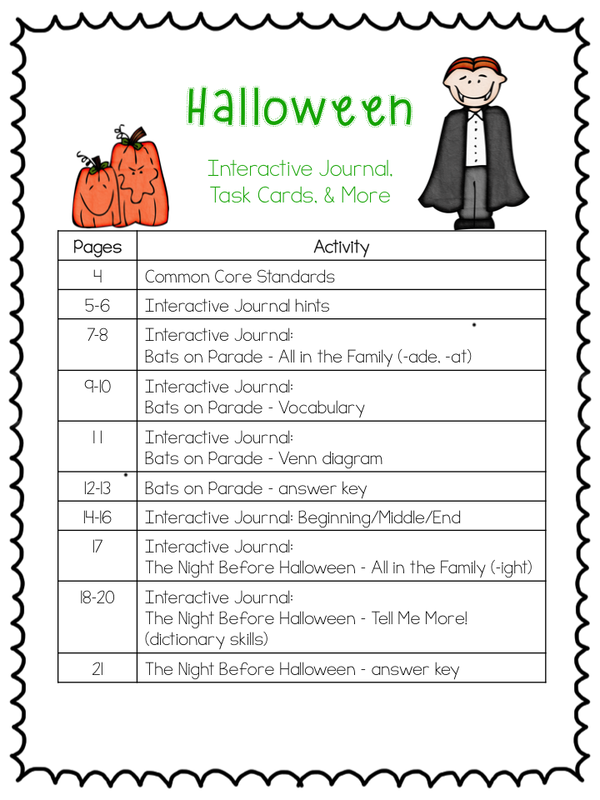 These printables remind me of the lift and learn books that students enjoy. 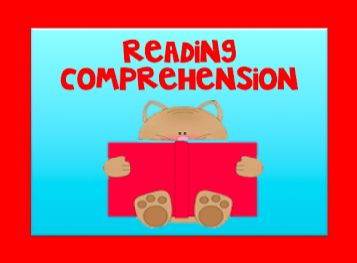 Have you seen this lift and learn book yet? I included an index so you can find what you need easily. Hints are given for your interactive journals. Let me know if you have any tips to pass along. 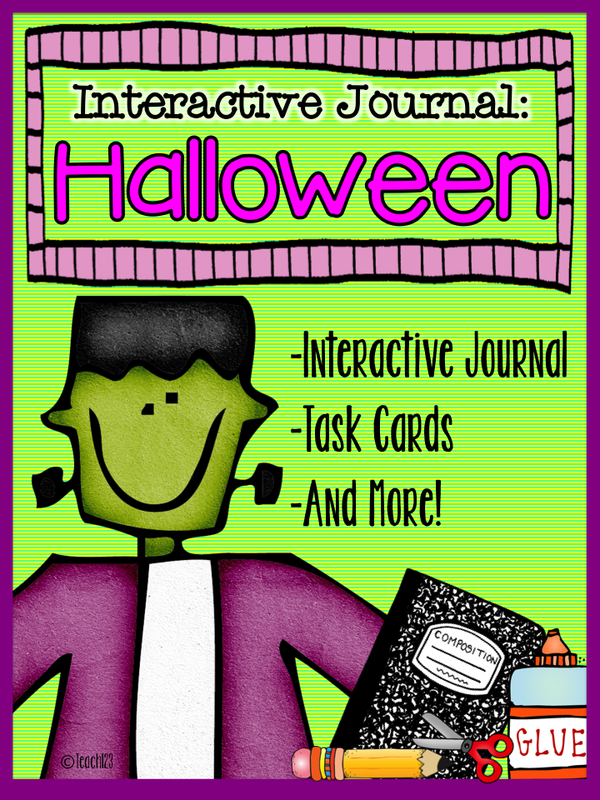 If you don’t use interactive journals, you can also glue these printables to construction paper or notebook paper. 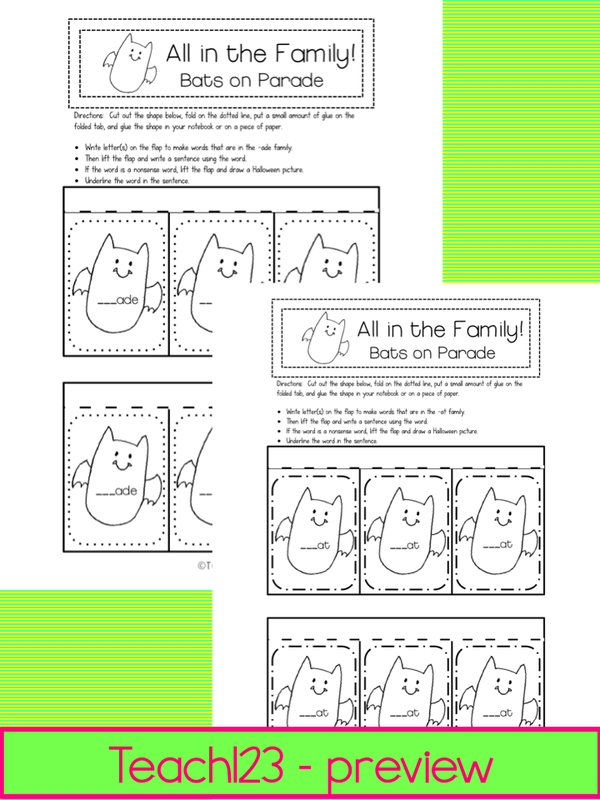 All in the family printables are word family activities. 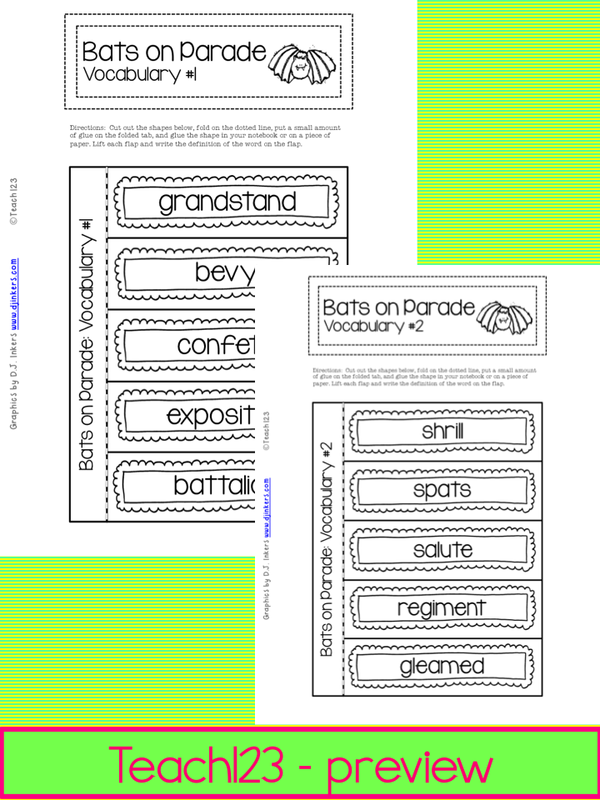 These -at and -ade word families assignments will enrich the book, Bats on Parade. 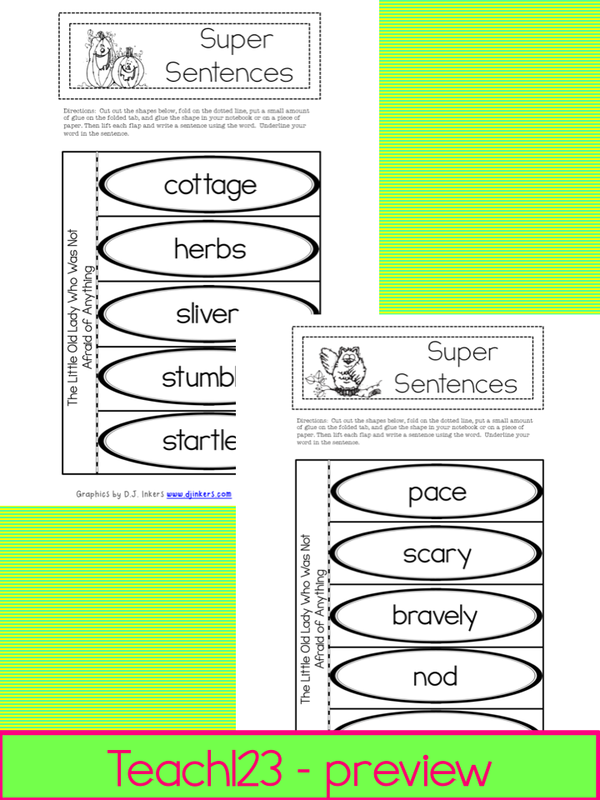 These vocabulary printables are open-ended. Your students can write the definitions, use the words in a sentence, or write the part of speech of the words. 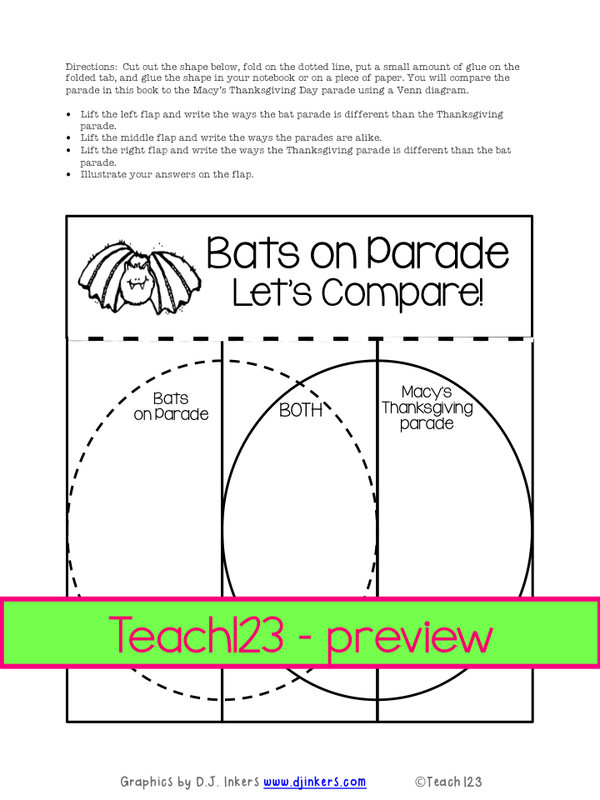 Students will compare to the Bat’s parade to the Macy’s Thanksgiving Day parade after they listen to the story. 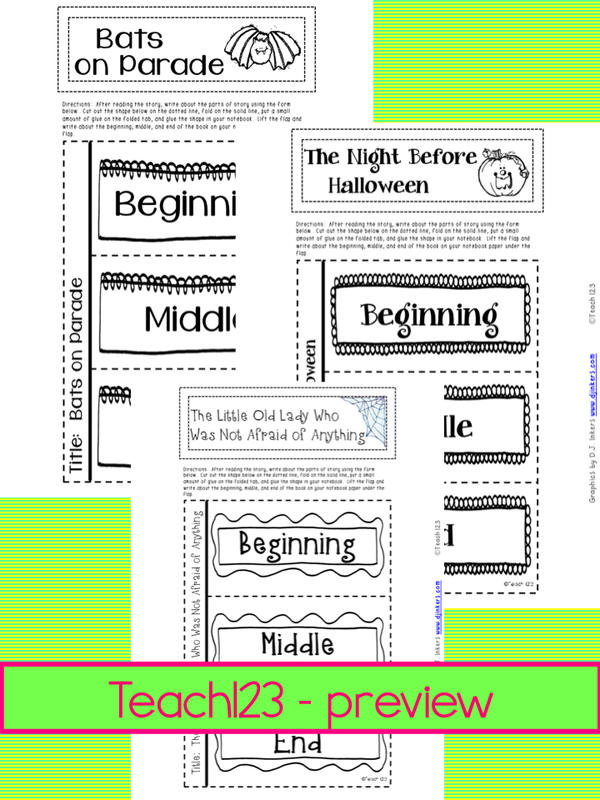 There are beginning/middle/end printables for each book included with this packet. 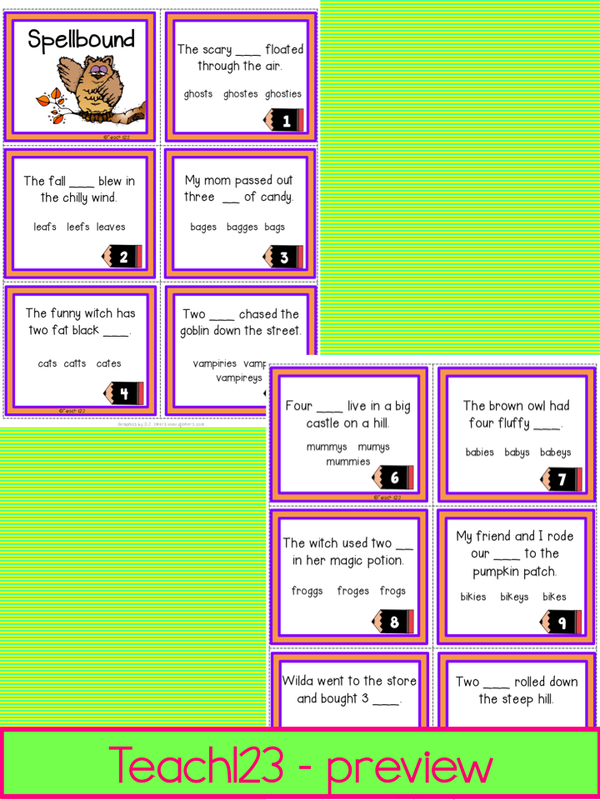 Students will write sentences after listening to the story, The Little Old Lady Who Was Not Afraid of Anything. Task card hints are included. Let me know if you have some tips to pass along. Students will work on prefixes and suffixes with the Haunted Words task cards. 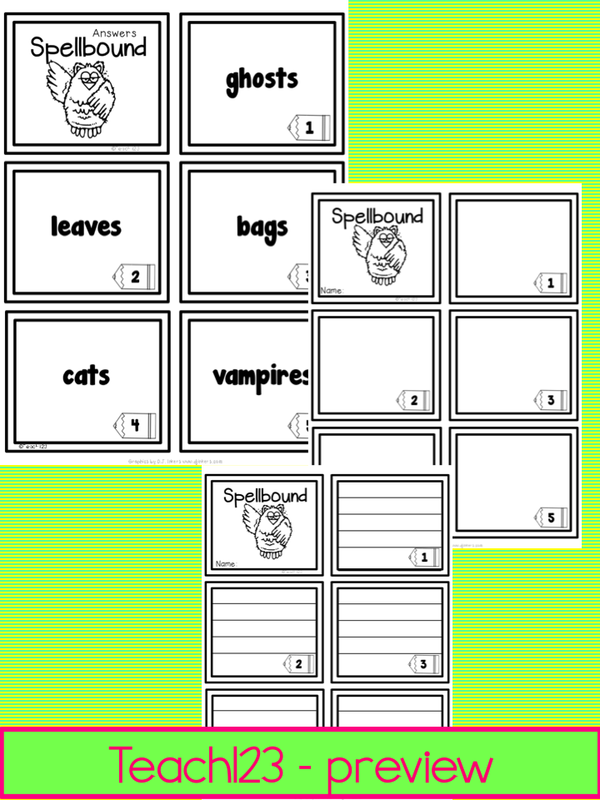 Students will work on plural nouns with the Spellbound task cards. 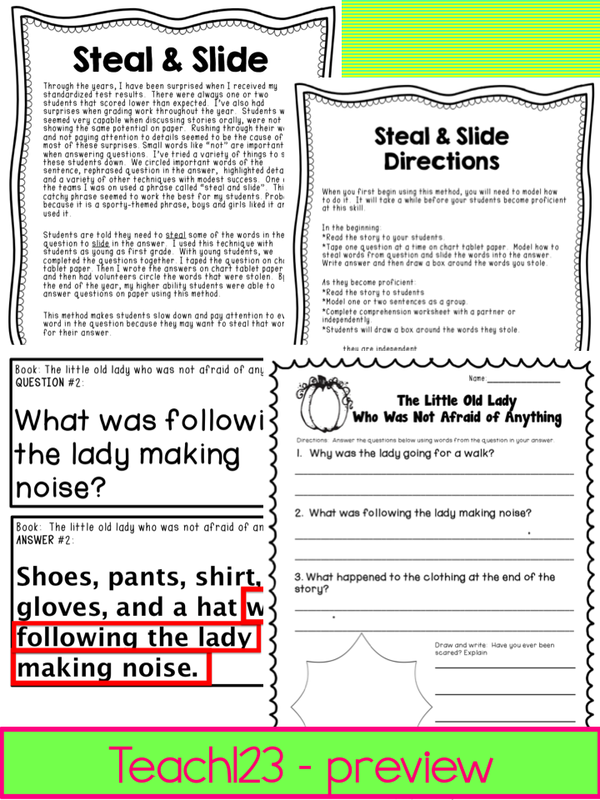 There are Steal & Slide reading comprehension signs and worksheets for The Night Before Halloween. 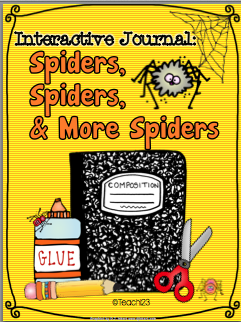 Don’t forget to check out my Spider packet that is in this format! 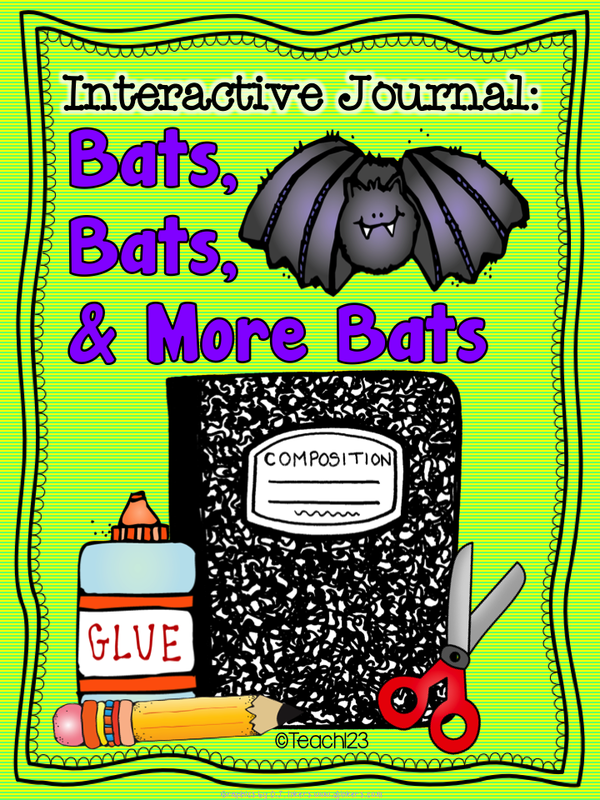 I also have a Bat packet that is in this format! Looks like some great resources I'm going to need to check out!